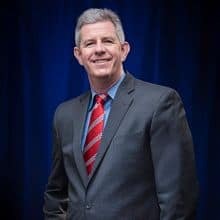 Management consultant and bestselling author Peter Drucker wrote, “The only thing we know about the future is that it is going to be different.” That is, indeed, true for service providers, as new technologies increasingly adopted this year are a catalyst for change in nearly all aspects of the services business. Here are four things that service providers need to think about in light of threats or opportunities in 2016. The first thing to think about is the role that automation will play in your service delivery model. 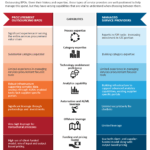 It’s clear at this point that between RPA, neural computing and cognitive computing, businesses can automate a significant portion of their service delivery network. And customers expect it. So whether your business focuses on IT apps, infrastructure or BPO / BPS, automation stands to be increasingly disruptive in 2016. The second thing to think about is how your talent model will change. As automation, cloud and other disruptive technologies continue to play, they will challenge providers’ existing talent models. We see the market moving to cross-functional teams, which will take over a larger share of work and will thus will stress the specialized talent factories that providers have built over the last 15 years. Another big upcoming change to think about is how the increased emphasis on using persistent teams rather than a leveraged pyramid will lead to change in your business model. Clients are increasingly looking for continuity in a services team over several years, not over several months. 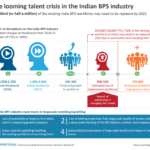 As providers seek to accommodate this demand, it will both challenge the offshore labor models that rely on constant input of freshers and create implicit churn of talent as those people move through the pyramid. The fourth operational aspect to think about in 2016 is location. I’ve blogged frequently about the impact of new technologies on labor arbitrage. Although I’m not predicting the end of labor arbitrage by any means, I expect more pressure on location decisions and clients desiring to move more workloads closer to their business. There will be pressure to not move workloads offshore and to move work currently offshore back on shore. None of these four aspects of change will individually remake the current services model. But I believe they will cause the model to evolve and definitely put stress on long-held beliefs and assumptions. It’s something to think about in 2016 when building for success in services.